My two boys are absolutely obsessed with all things train. They are particularly interested if it’s a train that they can actually have a ride on so, when I saw our local miniature steam railway was running this weekend we decided to give it a try. We’ve been on the steam train when they’ve taken their mobile track to local events but today we headed over to their station. 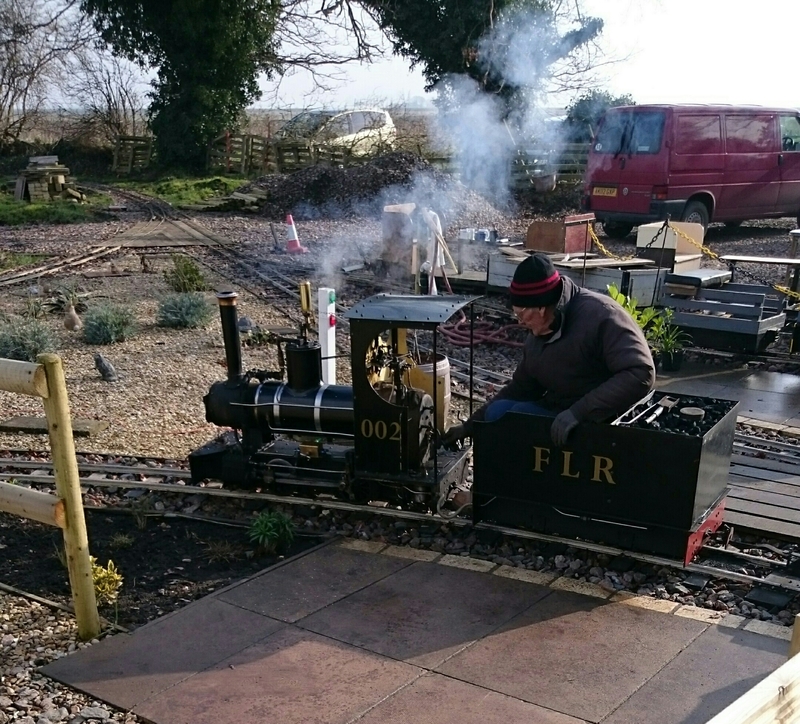 The Fenland Light Railway http:// http://www.fenlandlightrailway.co.uk/ is located in a small village in Cambridgeshire and a little bit off the beaten track. As you head down the road towards it you feel like you are driving into the middle of nowhere. The boys spotted the steam cloud as soon as we arrived and couldn’t wait to get out the car and onto the train. The boys plus Daddy got to have a few rides on this little train while Mummy was left holding the babies! Their faces were an absolute picture and O was giggling the whole way round. I think even Daddy secretly enjoyed it! Thankfully, the girls were asleep so lucky me got to enjoy a hot cup of tea! The site was really busy and it was lovely to see so many people supporting a local charity/hobby (not sure what to call it). They had a queue of people waiting for rides at one point. They have recently moved to a better site and have received a Lottery Grant so it looks like things are on the up for them. We eventually managed to prise the boys away from the trains and home for warm sandwiches and a chilled out afternoon. I’m looking forward to taking them back for one of the special events they run throughout the year.